Europe’s continued reliance on oil imports is a high-risk proposition, with supply stability often the victim of geopolitical conflicts. Europe currently imports just under 10 billion barrels of crude oil every day, 80 percent of which comes from OPEC countries and Russia. As such, Europe is making great strides in diminishing its reliance on foreign-sourced fossil fuels by putting alternate energy systems in place that benefit the European economy in a strategic way. However, there remains the need for diversification of the European Union's energy portfolio to improve steady supplies and increase the use of renewable sources. Hydrogen energy is the solution to that challenge. One effective method is to produce hydrogen using excess energy generated via wind or sun that is not immediately needed for the power grid - for example during off peak times. The hydrogen is then safely stored and distributed for future use. Hydrogen is an alternative carrier and storage for renewable energy. The process makes renewably sourced hydrogen available to meet the demand from the industrial and transportation sectors. Uses of hydrogen fuel also include direct application as an energy source for zero-emission hydrogen fuel cell vehicles. Hydrogen can also be used as a clean-burning fuel for power stations or pumped into the natural gas grid. Here are five reasons why hydrogen energy is the best fuel to power Europe’s clean energy transition. The excess renewable energy produced during off-peak hours provides a steady and reliable method of hydrogen production. In addition, there are already a number of hydrogen production equipment companies producing electrolyzers with headquarters in Europe. Energy security has far reaching economic repercussions. Producing hydrogen locally, regardless of the method, has the added benefit of creating jobs on the home front rather than boosting the economy of another country. Money is infused into the local European economy and stays there. Industry experts predict the major energy players will increasingly focus their attention on hydrogen fuel production from different renewable sources like wind, as the existing petroleum distribution network can be used for hydrogen. 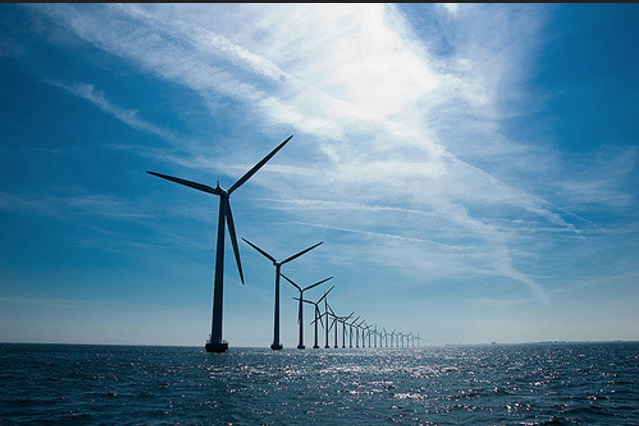 Middelgrunden offshore wind farm. Image source: wikimedia. Already, investments in hydrogen energy are ensuring the local economic benefits are sustainable. For example, the Hydrogen Council, under the guidance of 13 energy industry leaders, is already committed to investing 1.4B euros per year in the commercialization of the hydrogen and fuel cell sectors. Continued investments will lead to further employment opportunities free from the ups and downs of foreign oil markets. Through the 2015 Paris Accord, participating governments agreed to reduce global emissions using the best available science. One of the key advantages of hydrogen energy is that it can play a key role in that objective. Not only is hydrogen fuel locally produced, but it offers a zero-emissions alternative to petroleum or diesel fuel. Carbon Capture and Storage (CCS) uses technology to capture up to 90 percent of C02 emissions created from manufacturing, electricity generation, and other industrial processes. The captured carbon is then transported to safe underground storage. Applying CCS on hydrogen produced from natural gas or electrolysis results in decarbonized hydrogen. 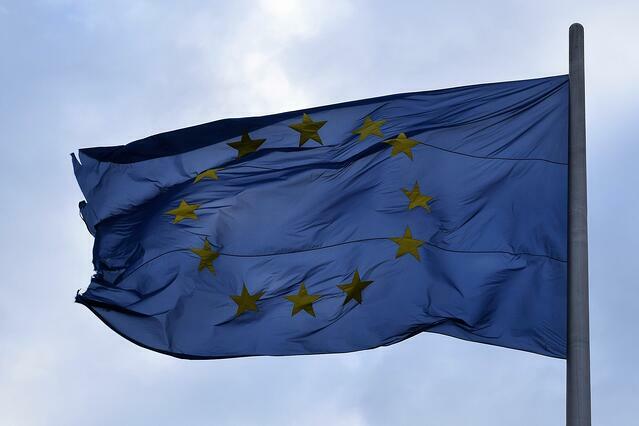 Taking this step can enable hydrogen to contribute to Europe meeting clean energy targets. Europe is already on the path to rapidly move away from fossil fuels. In fact, renewable sources represented nearly nine-tenths of new power added to the region's electricity grids last year. But it may not be smooth sailing. Industry leaders have raised concerns over the lack of political support for renewable energy programs. This is particularly critical beyond 2020 when binding renewable energy targets end for Europe. The advantages of hydrogen energy are many, and hydrogen fuel production has a promising story to tell. Hydrogen has a role to play in the electrification of transportation in Europe where it offers an alternative to bring low carbon fuel into our cities without using already stressed electric grid infrastructure. But to secure its future use, and that of other renewable energy sources, grassroots efforts and informed opinion leaders need to stand up and take action for a cleaner, more profitable Europe. 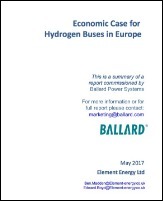 Learn more about how hydrogen energy will benefit regional economies in Europe in our free white paper below. How can hydrogen energy benefit your local community and economy?